The Colorado Plateau’s scarce water defines and shapes the region’s landscapes and cultural identities. Today, the sustainable future of the Colorado Plateau depends on the preservation and wise use of our water resources. Grand Canyon’s springs and seeps, such as Elves Chasm pictured here, are an integral part of the ecosystem. Along with their captivating beauty, spring habitats in Grand Canyon support species diversity up to 500 times greater than the surrounding landscape. The Trust works to protect these exceptional resources and ensure the sustainable future of the Redwall-Muav Aquifer, which feeds the Grand Canyon’s springs and seeps. Hundreds of creeks in Utah await restoration through the return and support of dam-building beaver. Beavers’ dams trap sediment, raising creek beds back up to their floodplain; expand riparian areas for wildlife and stability during floods; and transform straightened, ditch-like creeks into complexes of ponds, side channels, and meanders. The White River provides habitat for endangered and threatened species, supports numerous ecosystems, and provides recreation opportunities. Unfortunately, the BLM decided to allocate land along the river for oil shale development. To protect conservation values, the Trust initiated litigation challenging the BLM’s land use designation. We safeguard the Grand Canyon’s seeps and springs, restore watershed health through the reintroduction of beaver, and oppose water-intensive energy extraction that threatens water quality and quantity in the Colorado River Basin. 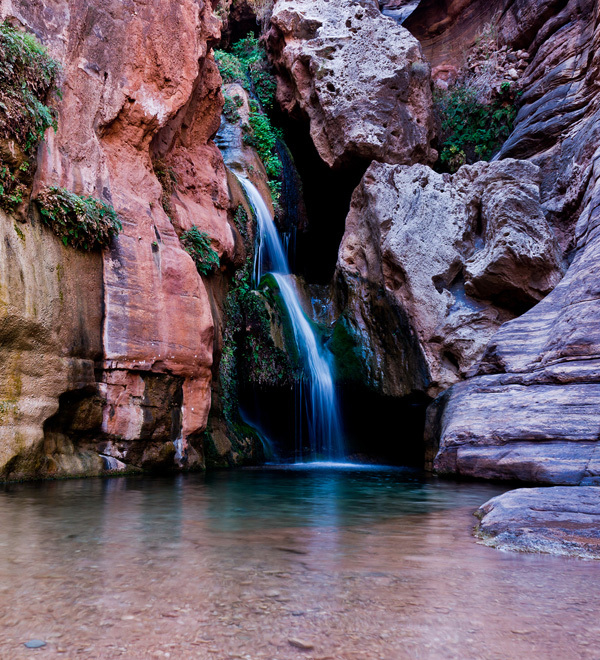 The Grand Canyon’s hidden waters – its seeps and springs – sustain both life and recreation in the Canyon. Now, a proposed commercial development of over 3 million square feet on the South Rim threatens to deplete the aquifer that feeds many of the springs deep inside the canyon. The Trust is working to obtain long-term permanent protection of the Canyon’s precious water, while also opposing irresponsible development on the South Rim. Wetlands and freshwater aquatic systems host the greatest biodiversity of any habitat in the West and are also among the most imperiled. The contribution of dam-building beaver to these habitats is priceless. Their dams help expand riparian areas, slow water runoff, reduce erosion, and trap sediment to repair damaged streams. 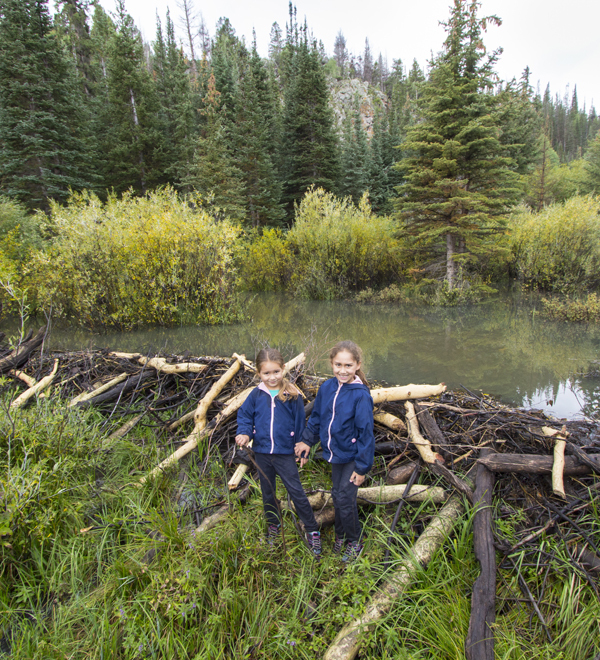 The Trust is a leader for beaver reintroduction on the National Forests in southern Utah. Let's keep beaver busy! 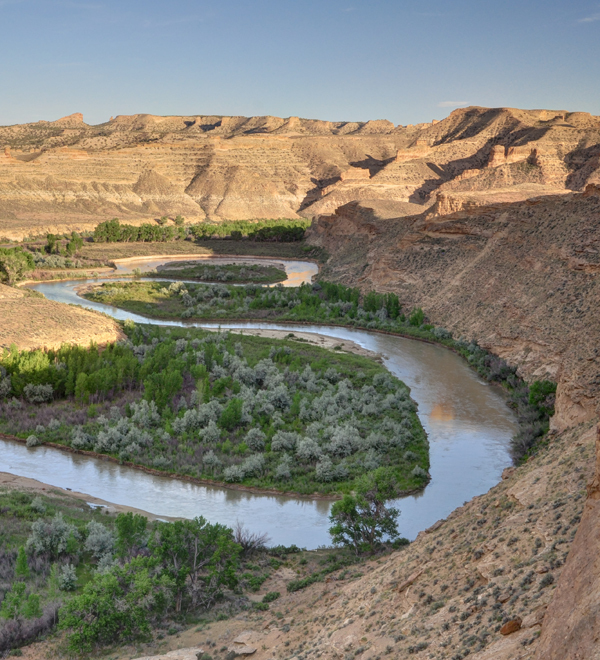 The Colorado River and its tributaries sustain life across the Colorado Plateau and the West. The Colorado River Basin also contains vast amounts of oil shale and tar sands – fuels whose extraction and development are highly water-intensive. Recognizing the threats to water quantity and quality that the development of these fuels poses to the Colorado River system, the Trust aggressively opposes oil shale and tar sand development in the Colorado River Basin.